Whenever you attend a concert in our Masterworks Series, be sure to take advantage of our free post-concert Q&As! 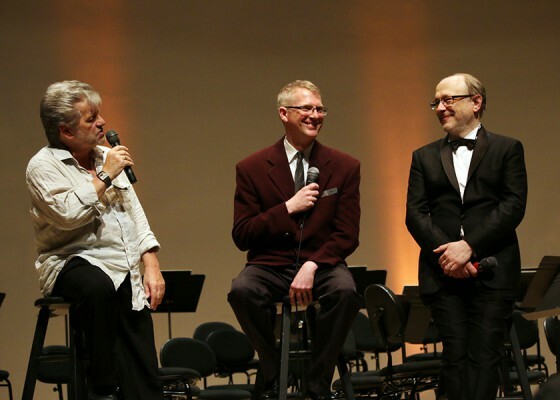 At these free question and answer periods, taking place immediately after the concert, you will have the opportunity to ask the conductor and guest artist questions about the music, their performance, or even the weather! These question and answer periods begin immediately after the concert, and take place on stage at the Rebecca Cohn Auditorium. To learn more about our pre-concert chats, please click here.